The observant of you will notice that I had a new office built in my garage around 8 months ago. Well as it happens, plans have changed again. 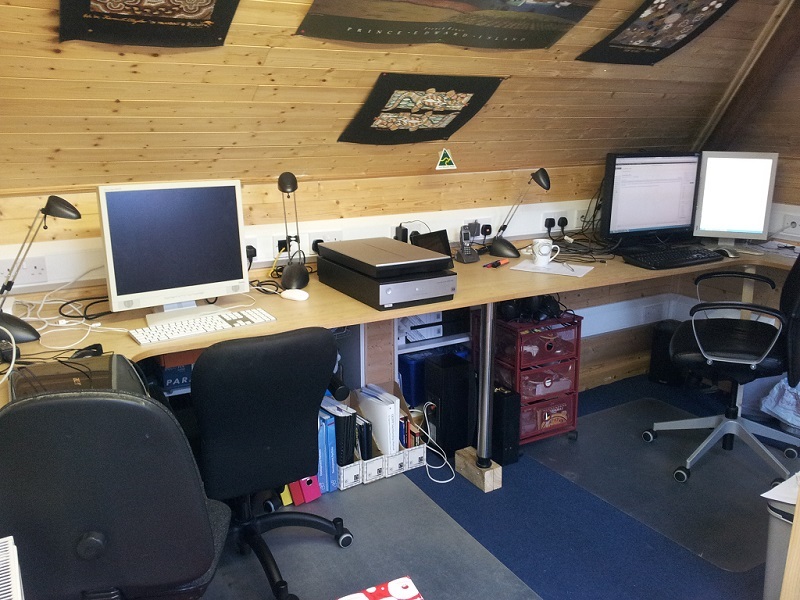 We have decided to use that garage space for something else and move my office up into the loft. 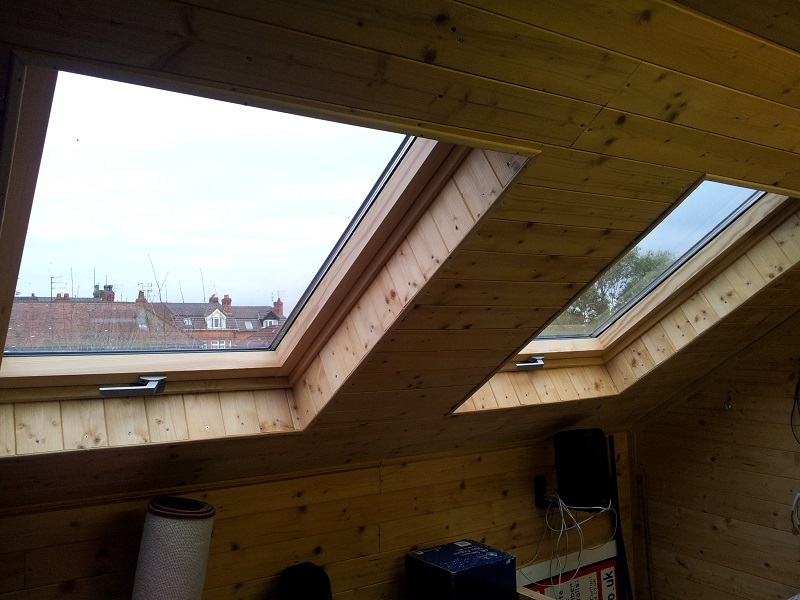 To accommodate this change, I had 2 skylights fitted in my loft to give me natural light up there and I had a custom desk made as you can see in the photos. Its a longer desk by about 1 meter than my other office. I also fitted 6 Ikea kitchen base units in the eaves to give me more space. I had to do this for somewhere to put all the junk before I moved my stuff up there. Total cost was just under £400 for the Ikea units, £640 for the skylights and £100 for the desk with labour coming in at £200. Total cost was around £1340.